Do you own all of these essential home tools? Find out how to get a checklist to track your collection at the end of this post. 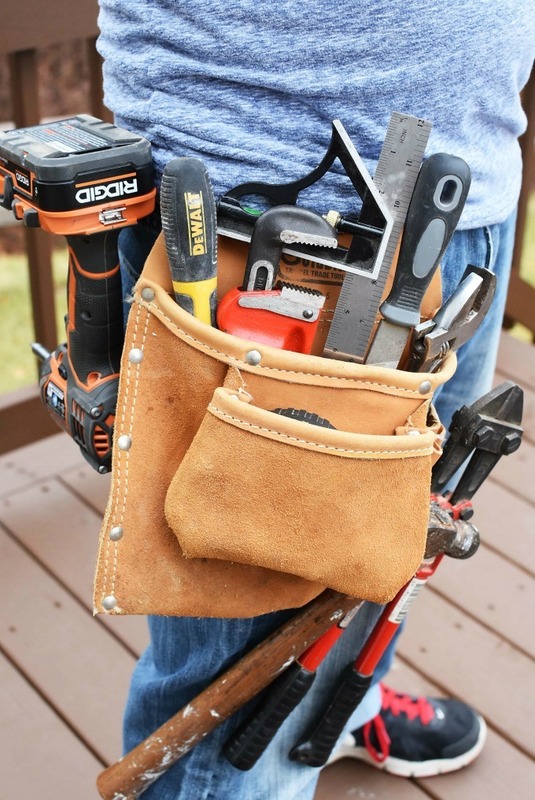 If you’re a homeowner, chances are you’ve found yourself in a situation where you needed a specific tool to repair, install, or adjust something, but then you realize you don’t actually own that tool. Instead, you end up substituting one tool for another, and it just causes headaches and possibly an injury. This post contains affiliate links. As an Amazon Affiliate, I earn on qualifying purchases. All views expressed are my own. After I moved into my first home in 2010, I quickly realized that my existing set of tools, which consisted of mostly mechanic and machinist tools, weren’t going help me on my many home projects. Repairing and installing things are some of the “joys” that naturally come with owning your own home! Having the right tools can prevent you from breaking something, making dumb mistakes, or even getting hurt. That’s why I put together the ultimate list of 55 Top Home Tools Every Home Owner Should Own. You don’t need to spend a fortune building this tool collection. Maybe you already own a few of them. Regardless, after a few years of slowly buying tools from the list, you’ll have yourself an epic collection of tools for home! A utility knife will allow you to cut through various soft materials with ease. I have one nearby at all times for breaking down shipping boxes, cutting plastic strapping, or even drywall. That’s why it’s a top tool on my list of 55. A good quality utility knife, like this all metal folding knife and a package of 100 replacement blades should last you for years. A Multi-Tool is not only recommended for Homeowners. I recommend everyone add one to their everyday carry (EDC) gear. Having a multi-tool on-hand will make you equipped to handle most of those small tasks that come around – like opening children’s toy packages that are wired up like Fort Knocks! A classic lightweight multi-tool favorite of mine is the Victorinox Swiss Army Tinker Pocket Knife. A good multi-bit screwdriver will handle most screws you’ll encounter on different home products. A good one should include #1 and #2 Phillips bits, plus, 3/16″ and 1/4″ slotted bits. The great thing about most multi-bit screwdrivers, is that they also serve as a nut driver for at-least one size nut. This Klein Tools 32557 Heavy-Duty Multi-Bit Screwdriver/Nut Driver is my pick for a high quality driver. Would it be safe to claim that the most common use for a precision screwdriver is to repair a pair of eyeglasses? I think it’s a safe assumption. Precision screw drivers have their place in the home for other projects too. Watches, small toys, and even some electronics contain screws that only a good precision screwdriver can turn. My recommended precision screwdriver set is the ORIA Screwdriver Set. You can’t beat this kit for the price. You get 54 bits and even a flexible shaft. Everyone who owns a home should own a tape measure. Whether you’re measuring your doorways to make sure that new refrigerator will fit into the house or measuring your windows for new shades, a tape measure is an essential tool every homeowner needs. My advice is that you buy a 25 foot tape measure. It will handle most of your measurements indoors and outdoors. The Komelon SL2825 Self Lock 25-Foot Power Tape is a good choice. I like the self-locking feature. It automatically locks the tape as you extend it. When you’re ready to retract, just press the button and it reels the tape back in. How are you going to mark your cuts without a carpenter’s pencil?! I’ll tell you how. You’ll end up using the closest sharp object you have laying around like a screw, nail, or screwdriver. Maybe you’ll grab a marker, pen, or one of your kid’s pencils. I’ve done it many times and it’s not right! Using a carpenter’s pencil will give you a vibrant target for cutting or drilling, so you never miss your mark. You never know when you might need a flood flashlight, and you don’t want to wait until you need one to realize you don’t own one! A flood flashlight is an essential tool for emergency use during a natural disaster or power outage. I recommend one that’s LED and emits at least 1000 lumens. You also want to make sure it’s waterproof and durable like the BYGO 5018S-LED Searchlight Tactical Flashlight-1200 Lumen Waterproof Handheld Floodlight. A pen light is great for lighting up the insides of home equipment like furnaces. I keep one on-hand when I need to look under the sofa for one of my kid’s toys or inside their noses, throats, or ears for miscellaneous things. (Being a father is sometimes a dirty job!) Like I mentioned in my post Everyday Carry (EDC) Gear You can’t live without, my favorite pen light is the Streamlight 65018 Stylus 3-AAAA LED Pen Light. It’s durable and it caries just like a pen, so it’s great for EDC. There are only 5 power tools on this list because I wanted to focus on essential home tools only. Yes, there are a lot more power tools I recommend for a workshop, but I’ll save that for another post. If you’re only going to buy 1 power tool, it should be a hand drill. Cordless lithium-ion drills are more affordable now than ever, so you should be able to find one to fit your budget and needs. I personally use the Ridgid Fuego R86008 18V Lithium Ion 1650 RPM Brushless Cordless Compact 2 Speed Drill / Driver with LED Grip Light and Keyless Chuck. It’s a robust drill with good torque and battery life. An impact driver is great to have around for driving any type of long or think screw into wood. For example – you’re going to want an impact driver to drive lag screws into studs for installing a TV mount. Impact drivers make otherwise tiring screw driving activities easy. I recommend the RIDGID GIDDS2-3554587 18V Drill And Impact Driver Kit. That way you can save money on buying the drill and impact driver separately. I own this exact kit, and I love it. You can’t own a drill without drill bits. For normal home use, you don’t need a 15 piece drill bit set. However, I do recommend that you at least have a 10 piece set to cover general projects. The DEWALT DW1354 14-Piece Titanium Drill Bit Set is a great choice. Titanium coating helps the drills stay sharp longer. A driver bit set is essential for driving screws of different heads into various materials. The best wood screws usually use torx or square drives, so you should own a kit that includes different sizes of these style bits. Screws with a hex drive can be found on many types of home appliances and accessories. For example – many TV mounts and refrigerator doors use screws with hex drives. It’s a good idea to have a standard and metric set in your home tool kit. Here’s a tip, make sure to buy “ball-end” style wrenches so you can unscrew/screw on a slight angle. I have 2 different size adjustable wrenches on my list. The reason is the larger wrench could obviously handle more size nuts – however, the larger the wrench, the thicker the jaws. That means for smaller nuts with less clearance, you won’t be able to fit the 10 inch adjustable wrench into the space. A 6 inch adjustable is a good medium size for most smaller nuts. Have a 10 inch adjustable wrench on-hand for larger sized nuts. Adjustable pliers are essential to have in your home tool collection for various sized nut. Great when you need to bite into a large nut, or loosen plumbing lines. An essential plumbing tool you should own. You will likely not use it often, but it’s invaluable when you need it! A putty knife serves a few purposes. The first and obvious use is to spread putty into holes or into cracks on walls. Putty knives can also make effective scrapers. I once had to remove paint from a counter top, and my putty knife worked really well. There will come a time when you need to sand something – wood, paint, plaster, or compound are a few examples. It’s important to use a sanding block because it provides a flat surface to support the sand paper. Without a flat sturdy backing, your sanding job will not come out flat and even. On wood, you can create raised grains, and on drywall, you’ll have un-even dips. Needle nose pliers should be in everyone’s tool box. They allow you to grab small things. Think of them as tweezers on steroids! You’ll need a pair of wire cutters to cut… well… to cut wire. Electrical wire may not be the only wire you’ll need to cut at some point, but regardless you’ll need a pair of wire cutters to get the job done. At some point as a homeowner, you’ll need to do some wiring. It’s not a good idea to do any electrical work on your home if you’re not a licensed electrician. However, maybe you’ll need to wire a new doorbell or thermostat. Both of those items are low voltage (10-24 volts) and are generally safe for home owners to wire. Wire strippers will allow you to easily and completely strip the wire jacket from the wire. You’ll find a bubble level useful when it comes time to hang shelves, pictures, mirrors or anything else on a wall. You’ll also need one for leveling furniture or appliances. A good 24 inch bubble level is a good size to have if you’re only going to own one level. A non-contact voltage tester is 100% necessary if you are going to do any work involving your home’s electricity (unless you own a multi-meter or voltmeter). Don’t ever touch any wires or electrical components without turning off the circuit breaker and testing the outlet to make sure the voltage is really off. Safety glasses are essential for any type of home project that involves cutting, grinding, or drilling materials. If you want to see your children grow up or the sun set another day, be sure to protect those eyes of yours! According to the National Institute on Deafness and Other Communication Disorders (NIDCD) long or repeated exposure to sounds at or above 85 decibels can cause hearing loss. Just to give you an idea of what that sounds like – an average vacuum cleaner is around 85 decibels. Therefore, ear plugs should be used whenever you operate power tools . I like tools that serve to both build and destroy. A claw hammer is obviously required for driving nails, but it’s also great for demolishing objects and tearing out nails. Hammers have actually evolved a bit over the years. The Stanley 51-163 16-Ounce FatMax Xtreme AntiVibe Rip Claw Nailing Hammer is a great choice for anyone that enjoys a quality tool. Need to break down old concrete steps or drive something like a spike or sign into the ground? A 10 pound sledge-hammer will do the trick. It’s always good to have one at home. I once had to break up an old concrete patio. I bought a 10 pound sledge-hammer and a 60 inch pinch point bar. After a few minutes of pounding concrete with the sledge-hammer, I realized that the pinch point bar was way more effective! Using its weight of about 18 pounds, it easily punctures into rocky ground, or in my case – concrete. Bolt cutters are great to have at home if you need to cut a pad lock off of something or legitimately cut a bolt! If you’re ever planning on doing any home improvement projects, you’re likely going to pull things apart. A pry bar or crowbar coupled with a hammer is the perfect combination for ripping things apart like framing, cabinets, or old pallets. Unless you’re a woodworker, you probably wont use chisels often. However, they do have their place in your home tool kit. You’ll need a chisel for installing a door lock set, door hinges, or cut a rabbit into a board. Any type of finish nailing project will need a punch set. The reason is, you can’t drive the nail below the surface with the hammer. You’ll only want to hammer the nail head so it’s sitting slightly above the surface of the wood, then drive it just below the surface using a nail punch. Split leather work gloves come in handy (no pun intended!) for handling rough materials like yard waste or debris. You should own a pair for those types of tasks. Nitrile gloves are great for those jobs where you don’t want grease or nasty smells embedded into your skin for days. Examples include car maintenance/repair and anything to do with toilets or drains (yuck!). I keep a box of 100 in my workshop, so I can grab a pair when needed and toss them out when finished. A staple gun is another “staple” (sorry, I couldn’t resist myself!) in the home tool box. Keep one around for securing wiring, different wraps, upholstery, or insulation. You’ll loath the day that your bathroom sink or tub drain clogs! There’s nothing worse than spitting toothpaste into a sink only to have it reappear 2 seconds later! One of the best purchases you can make is a drain snake. I recommend the Vastar 3 Pack 19.6 Inch Drain Snake Hair Drain Clog Remover Cleaning Tool. It’s cheap, easy to use, and works great! A garden hose is a pretty obvious item on a list of home tools. Do yourself a favor though and buy a heavy duty, kink resistant hose like this NeverKink 8844-50 Series 4000 Commercial Duty Pro Garden Hose. I’ve cheaped out on “medium-duty” hoses in the past, and they were trash after less than 6 months. You need to keep your beautiful new garden hose neatly reeled. The Suncast CPLSSM200B Swivel Hose Hideaway with Smart Trak Hose Guide is a great working hose reel that looks nice too! If you have a tree or one of your neighbors has a tree, you’re going to have leaves collect on your lawn. Garden rakes are a must-have tool for keeping a neat and tidy yard. If you’re going to do any digging for things like a garden, mailbox post, or even to “discard” Larry the guinea pig you need the right tool. There’s only one type of shovel that’s up for the task – a round point digging shovel! I’ve started many gardens from scratch, and I couldn’t have done so without a quality square garden spade shovel. The edge of this shovel allows you to cut into the soil or sod in a straight line. Use one of these shovels to cut sod and leave behind the soil and shape the perimeter of your garden. It seems like everyone in the USA (except Hawaii I think) is at risk for snow these days. If you’re in the north, you definitely need to own a snow shovel. If you live in the south, buy yourself a cheap one just to have for those wild weather events. A combination square is great tool for layout of cuts or checking 90 degree and 45 degree angles. They also make great positive stops for repeat cuts on a saw. You can also use a combination square to take accurate measurements of the extension of a tool from its chuck. Bottom line is; a combination square is super versatile, so it should be in your home tools collection. Every home owner should own a circular saw for making straight cuts in boards or plywood. Whether you want to make simple crafts, or even a dog house for Fido, a circular saw can help get the job done. I haven’t tried a cordless circular saw that I’ve liked yet, so I can only recommend a corded saw. The SKIL 5280-01 15-Amp 7-1/4-Inch Circular Saw with Single Beam Laser Guide is great for the homeowner that needs a saw for weekend projects. A reciprocating saw will serve you well as a homeowner. This type of saw is typically not used for finishing cuts, but rather for demolition projects. A good quality bi-metal blade will allow you to cut through wood and metal. I’ve used my reciprocating saw to cut old baby furniture and box springs into small pieces that fit into my trash bin. This is a very versatile tool that you should own. Plus a ton more things! Maybe you don’t own a Dremel Rotary Tool yet, but you need to cut a frozen bolt off of something. Sometimes its just easier to grab a hacksaw and go to town instead of plugging in the Dremel, finding the right tool, and setting it up. As a former machinist and a current manufacturing engineer, I can’t live without a metal file. Although there are many different types of files, you can get away with owning a standard mill file for general use. Metal files are the best tools for sharpening, deburring, or removing small amounts of metal from a surface. Please note that A FILE ONLY WORKS IN ONE DIRECTION – FORWARD. It pains me (it really does) to see someone sliding a file back and forth on a piece of metal. It can ruin the teeth and trash your file. Popular Mechanics has a great page that shows the proper way to use a file. If you need to repair or plumb copper pipe, you’ll use a torch to sweat the copper pipes. Another use for a torch can be loosening a frozen bolt on something like a vehicle. It’s also a badass way to roast marshmallows! A propane torch is more affordable, but an MAP gas torch is better. MAP burns hotter, and works more effectively. Even the simplest tool belt, will increase your productivity. As a manufacturing engineer, I’m always looking to “lean” out processes. Having the tools you need right at your waste during a project follows the lean philosophy I always strive for. Owning a home requires you to sometimes work in dark places, like a crawl space, attic, or basement. If you’re doing something that requires both hands, a headlamp will shine light at whatever you’re looking at. You might not use a headlamp too often, but when you need one, you’ll be glad you had it. A 25 foot extension ladder is a good tool to have at home. This would be used for external house work. Every adult that’s somewhat handy should own a ratchet and socket set, even if it’s a cheap one. You’ll encounter many hex bolts or nuts during repairs of various items in the home. A ratchet increases your efficiency greatly when loosening bolts or nut. I hope you found this list of tools for the home useful. It took me a few years to build up the collection I have now, so don’t feel bad if you only own a few of the tools listed above. I will be releasing more valuable content on a regular basis that you don’t want to miss. Previous Post: « Everyday Carry (EDC) Gear You can’t live without (that make great gifts)! What a great list of tools…this would be great as a gift for any first time home buyer or even for a shower gift for the guy! I’ve started giving tools as wedding gifts. Everyone could use tools and you gave a great list. I’ll pin it to have it when the next wedding comes around. It is nice you have a handy husband. 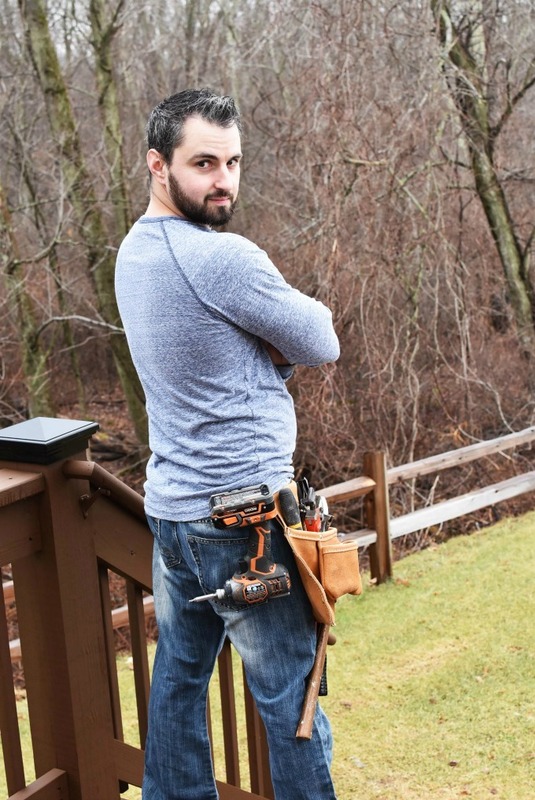 I think my husband would laugh if I got him a tool belt but he does a lot around the house. Great suggestions that I might have to add for Father’s Day. Just yesterday my neighbor mentioned the tool he uses to fix the screen door. I have just been using a butter knife! I need to up my tool IQ. This is a great, comprehensive list of tools. 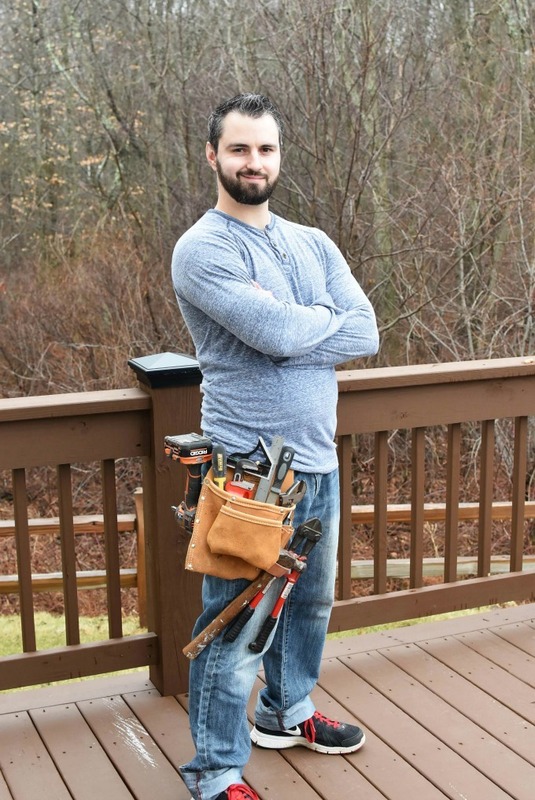 My husband has his tools that I can never find…probably because he keeps them well hidden from me and the kids. I have my own toolbox that has the things I use most often. It is one of the best collection of home tools that everyone should know. You have also given appropriate information about the tools. Cool way to keep all tools around you. I will surely like to buy such useful tools.